We all have our favourite species to use in projects and every tree offers a unique set of functions and aesthetic value to a design. But what is the potential of trees left unattended by humans? 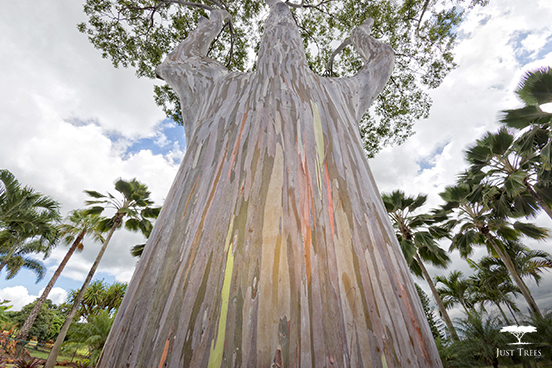 We bring you some of the most interesting trees from all over the world showing off nature’s astonishing handy-work. The Tree Root Cave, or as it’s more commonly known the ‘Tree of Life’, has many baffled by the mere fact that it has not yet gone on to the big tree place in the sky despite having found itself in this ‘uncomfortable’ position. The Tree of Life has had the ground give way beneath it due to erosion and yet it continues to thrive, with green leaves and all. 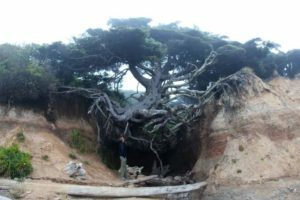 The tree located in the Olympic National Park near Kalaloch, Washington, is a true representation of the innovative ways in which the different tree species adapt to an ever changing environment which allows them to live for thousands of years. 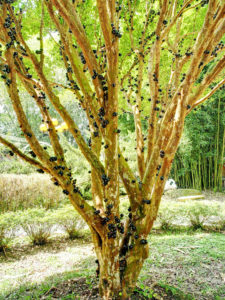 The Jaboticaba tree has been chosen for this list due to its unique ability to bear fruit on old growth trunks and branches which makes the tree look much like it’s covered with purple cysts. The Jaboticaba tree grows fruit along old growth branches and trunks rather than along new growth as in most other fruit trees. The dark cherry-like fruit that it bears can be eaten straight from the tree or made into preserves or wine. It’s unique aesthetic makes it quite a strange sight to behold. The tourist attraction known as the “Bike in a tree” is exactly what the name entails, a bike in a tree! It’s one of the most interesting demonstrations of nature absorbing human designs in order to continue living. There are many myths surrounding this attraction, but as it turns out the bike had been misplaced by a little boy named Don in 1954 who wasn’t too fond of the bike in the first place. Not too fussed about his missing bike, he never went back to look for it. When Don returned to the site 40 years later, he found that the tree it had leaned against absorbed it completely. 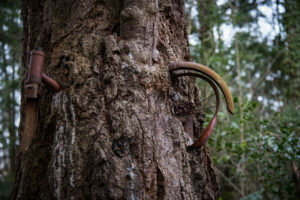 According to professor Elizabeth Van Volkenburgh, of the University of Washington’s Department of Biology, the bike could only have ended up in the tree after someone had hung it there. The bike would have been too heavy to lift up on its own. The more likely explanation is that the tree increased in girth and the cambium (the cells right under the bark) wound tissues around the bicycle. If you’ve ever found yourself doubting the strength of these beautiful species, all you have to do is think about the bike in a tree for a little reminder! 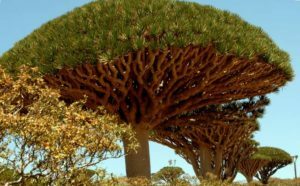 The Socotra dragon tree is unlike any other. 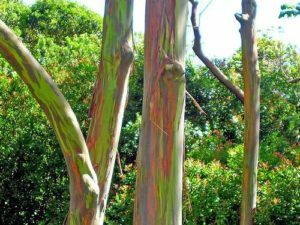 Not only does this tree have a spectacular branch aesthetic that curves beautifully in a half sphere shape topped with beautiful green leaves, but it is also known to ‘bleed’ red tree sap! The tree’s red resin was well known in trade before 60AD where it was known as ‘Dragonsblood’. It was believed to have medicinal properties and some also believe that it’s responsible for the intense colour of Stradivarius violins. The future of this species remains uncertain, however, as the younger trees don’t have the characteristics that it is known for such as its very unique umbrella shape. Sadly, the possibility of this tree resembling something completely different in the future is not far off. Cases where Oak trees have lived long enough to reach 65 feet (about 19m) in length and 28 feet (about 8,5m) in width do not come around as often as we’d like them to, but this 500-year-old Angel Oak tree located on Johns Island near Charleston, South Carolina, is a prime example of what trees are capable of if given more time. The Angel Oak is unique in its size, but also because Oak trees usually grow up instead of out. However, the age of this tree has allowed it to do both. The protective, and appropriately named Angel Oak, is owned by the City of Charleston. Just from looking at the picture of these windblown trees you’d assume that this was in fact a very windy day but, as we all know, looks can be very deceiving. 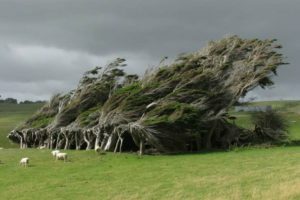 These macrocarpa trees in New Zealand have retained their extreme angles as a result of younger trees surviving and thriving in the windy environment. You’d be even more surprised to learn that these trees are actually covering the ruin of a house used by sheep for shelter. This is yet another example of trees intertwining with man-made structures to continue their life cycle and it’s quite a sight to behold! In addition to these seven examples of miraculous trees found all over the world, we also found trees with knotholes that resemble a screaming face, a decapitated Buddha head statue perfectly entwined in the roots of a tree, and even a tree that resembles an outstretched hand! The wonderful ways in which trees can continue to inspire awe from tree lovers gives us hope that these incredible species will go on to multiply and live long, healthy lives! Imagine what might be possible for the trees planted by our generation. The more Treeification around our globe, the more chance there will be for spectacular species to be written about by the generations to follow. Which tree was your favourite? If we’ve missed a tree that you think deserves a spot on our list, feel free to leave a comment down below!